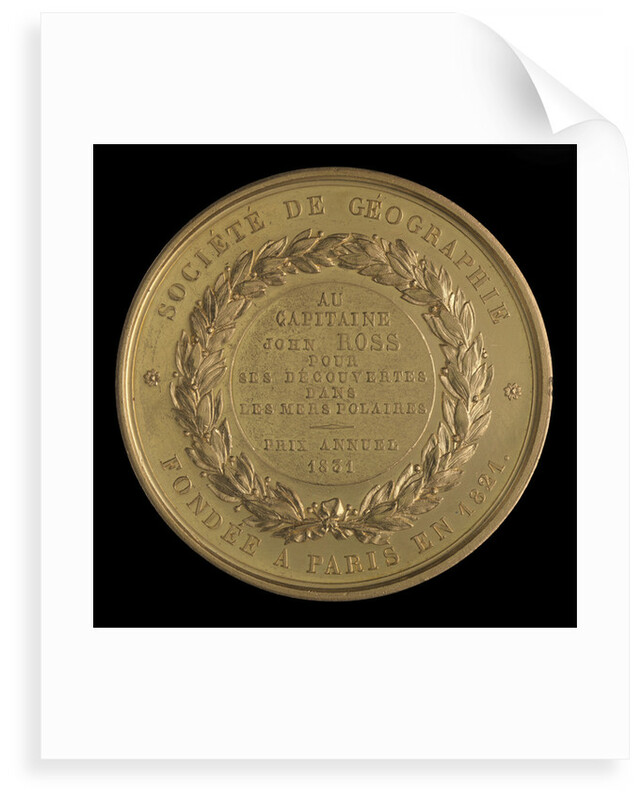 Société de Géographie gold medal awarded to Sir John Ross in 1834 for discoveries in the the polar seas. Obverse: Minerva seated (left) holding a laurel wreath in each hand extending her right to the front. Behind her are palm branches on a altar, a wreath of laurel knotted at the base. Exergue: 'MDCCCXXVII', 'ANDRIEU FECIT' (left). 'DE PUYMAURIN DI' (right). Reverse. 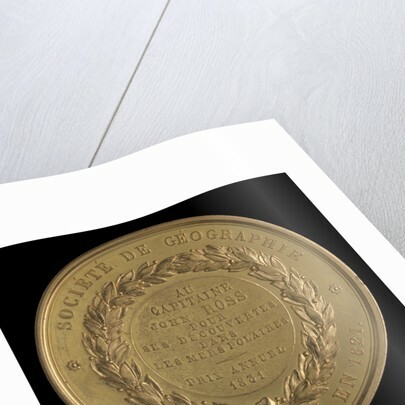 Legend: 'SOCIÉTE DE GÉOGRAPHIE. 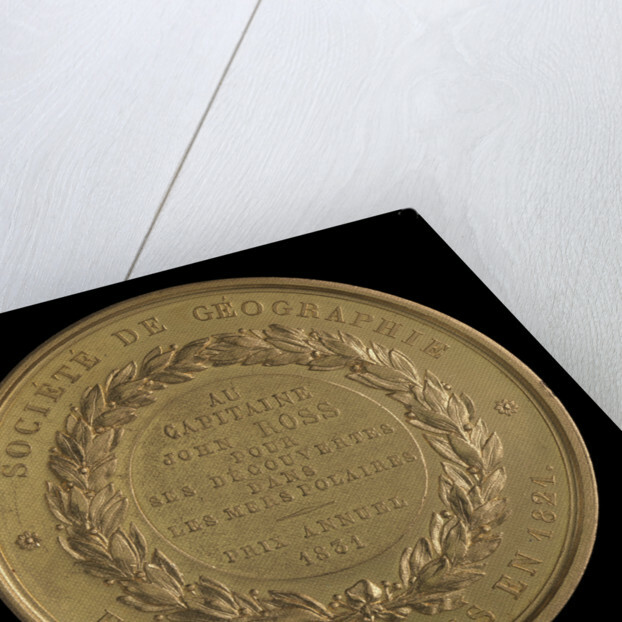 FONDÉE A PARIS EN 1821.' 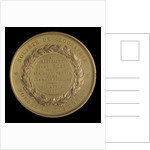 Within a laurel wreath, inscription: 'AU CAPITAINE JOHN ROSS POUR DES DÉSCOUVERTES DANS LES MERS POLAIRES PRIX ANNUEL 1834'. 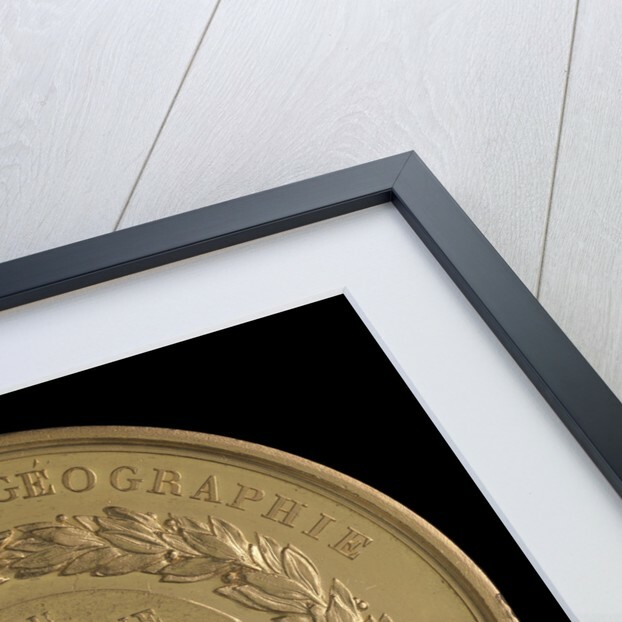 More by the artist Andrieu.